President Abraham Lincoln’s youngest son, Tad, is very fond of Jack the turkey. 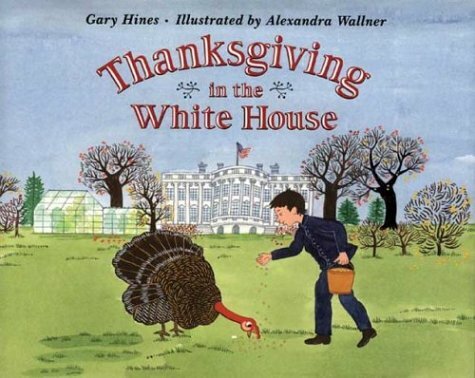 He has tamed him and taught him tricks, and the bird follows him all around the White House yard. But Jack was meant to be the main dish of the first official Thanksgiving celebration. Big problem! Can Tad convince his father to spare the turkey? This is a perfect book to share in the elementary classroom where you can sneak in a little learning along with your holiday celebration. 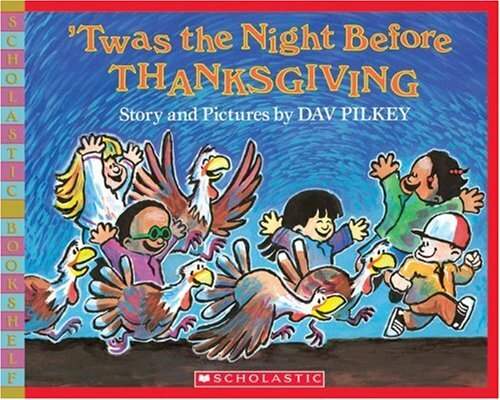 Following the standard rhyme of “This is the House that Jack Built,” this book describes the activities of a young boy and his extended family as they share Thanksgiving. 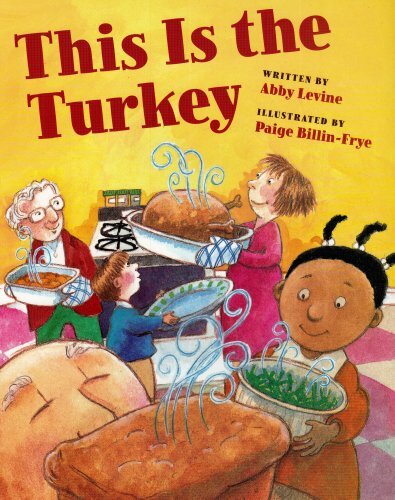 They pick out a turkey, prepare the bread, set the table and so on. However a mistep sends the turkey into the fish tank instead of on the table, and the family realizes what they have to be thankful for is more than a cooked bird. I particularly like that an African American girl is featured on the book cover, showing a mixed-race family. The simple text and bright pictures make this a good choice for a preschool audience. Using the format of Clement Moore’s classic Christmas poem, we’re treated to a story about eight boys and girls whose trip to a turkey farm leads to a surprise. The book is blunt at times about the fate of these birds, but always funny, especially when the kids leave the farm considerably fatter and with feathers sticking out from their coats. The poem aspect of the joke will be lost on preschoolers, but they'll still enjoy the story. The elementary kids will be more on board and will really have fun with this clever book. Looks like a nice selection here! Thanks for the recommendations.